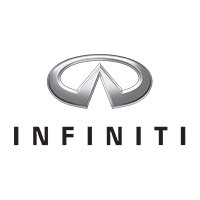 "Infiniti Retail Group is the manufacturer-owned retail arm of INFINITI Europe, the premium car subsidiary of Nissan Motors. Founded in 1989 in the US, Infiniti entered the European market in 2009 with vehicles designed for European markets and built in Britain at Nissan’s plant in Sunderland. Now with new technology on the horizon, considerable changes in automotive consumer behaviour and routes to market evolving this is an exciting time to join the #INFINITIFamily INFINITI RETAIL GROUP Operating from 5 Centres in Reading, Birmingham, Stockport, Leeds and Glasgow, we offer New and Used car sales and full workshop capabilities. In line with INFINITI’s global brand proposition we aim to offer a different kind of luxury to our customers and a purchase experience unlike other dealer groups, our sole focus is ensuring our customers feel like honoured guests every time they visit us."